Ron and Maggie Tear Photography: Amsterdam Canal. 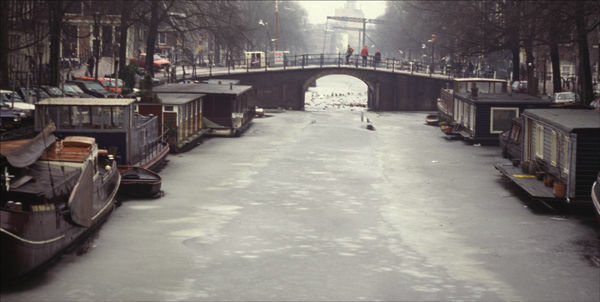 Not often are the canals of Amsterdam frozen. It was a bitter February, herons were scratching for scraps. It was a year for the famous canal skating race also. This image illustrating the craft that ply their way and houseboats.